Harford County's Democratic Central Committee voted Saturday at a special session to call for Del. Mary Ann Lisanti's resignation. BEL AIR, Md. (AP) — Harford County Democrats are calling on one of their own to resign from Maryland’s House of Delegates after she admitted using a racial slur. The Baltimore Sun reports that the county’s Democratic Central Committee voted Saturday at a special session to call for Del. Mary Ann Lisanti’s resignation. Lisanti, a Harford County Democrat, was censured by the House Thursday after she admitted using the n-word at an Annapolis cigar bar to describe door-knocking efforts she conducted in Prince George’s County, a majority black jurisdiction. 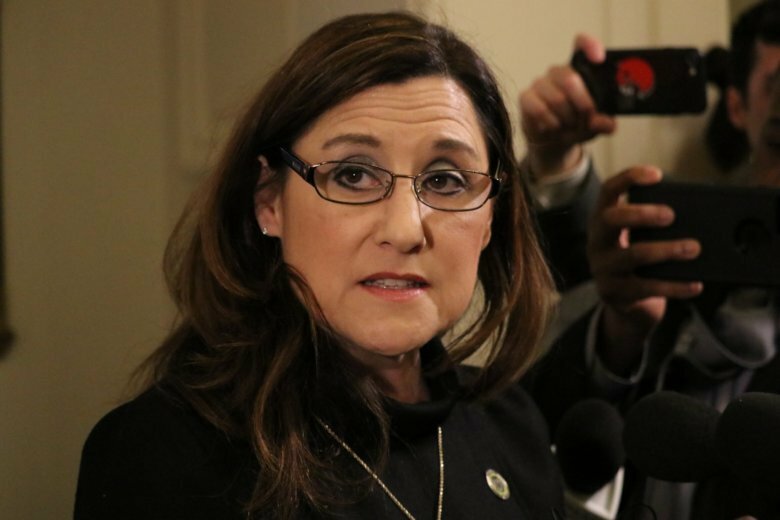 Lisanti has said she will not resign. Committee chair Denise Perry said Lisanti’s hateful comments make it impossible for her to be an effective representative.